This card was an experiment with embossing folders. 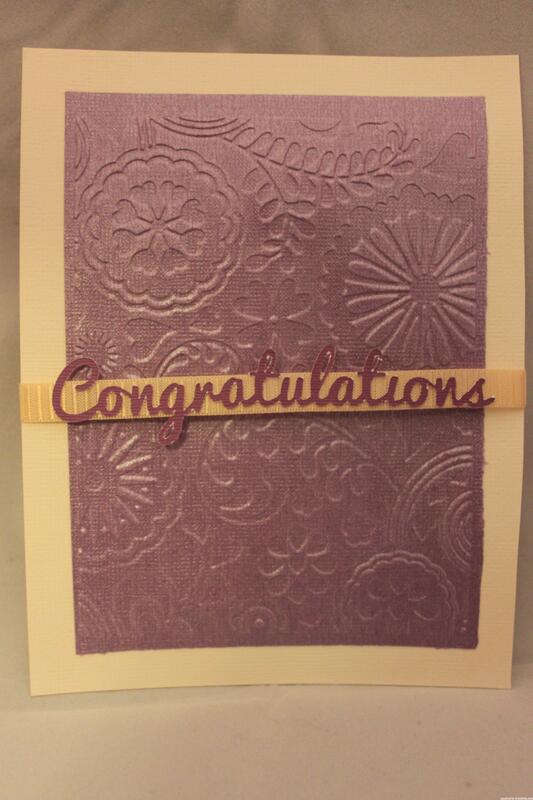 I used my Sizzix Big Shot and ran through a pearlescent violet cardstock. The embossing turned out pretty nice but it needed some contrast so I added the strip of cream ribbon. I placed the whole piece on white cardstock to give more contrast and to hide the ribbon backing. The wording was done with adhesive backed cardstock cut on the Silhouette.